"The strengths of this book are its fluid and engaging ... writing; its openly committed stand on the central question, i.e., whether or not animals, plants, rivers, etc. 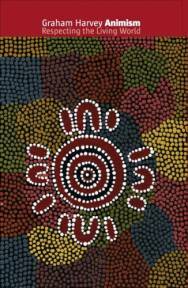 are people, and its use of major ethnographic sources as evidence, together with conversations with indigenous peoples." "Harvey's insightful and balanced study challenges both earlier studies of animism and more recent critics who argue that scholars should throw out the term altogether. This is a fascinating and passionate study of lifeworlds in which things are 'very much alive' and in which relation to non-human others is considered central." Welcome to the companion website for both Animism: Respecting the Living World (2006) and The Handbook of Contemporary Animism (2013). The site expands upon these books and includes further discussion, examples, elaborations and incitements that will enable more fruitful discussions about these ways of living respectfully within the wider community that is the living world. Animism: Respecting the Living World is available from the publishers (C.Hurst in the UK, Columbia University Press in North America, and Wakefield Press in the Southern Hemisphere) and from all good bookshops (virtual or otherwise). First, a definition: "Animism is the attempt to live respectfully as members of the diverse community of living persons (only some of whom are human) which we call the world or cosmos." Particular groups of animists express and evolve their worldviews and lifeways in various ways. These have considerable relevance to important debates among academics in many disciplines and among many other groups of people. The Handbook of Contemporary Animism is available from the publishers - Acumen - and from all good bookshops (virtual or otherwise). 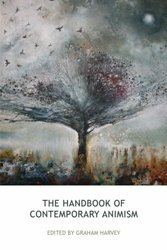 The cover of The Handbook of Contemporary Animism: Respecting the Living World features the excellent painting, “Return of the Fieldfares" by Stewart Edmonson — with the permission of the artist and of Beaux Arts gallery, Bath, England.